Did the New Testament Change Over Time? Often the charge is made that the New Testament was altered, deliberately or not, over the last 2000 years. How do we know the content of these books has not changed? Despite critics’ innuendoes, the evidence is incredibly strong these books are as originally written. First, there is just the sheer number of copies available, now over 5795 Greek copies (the original language they were written in). It is because there exists so many copies that textual critics can identify variants (and a very few scribal additions) within the text. 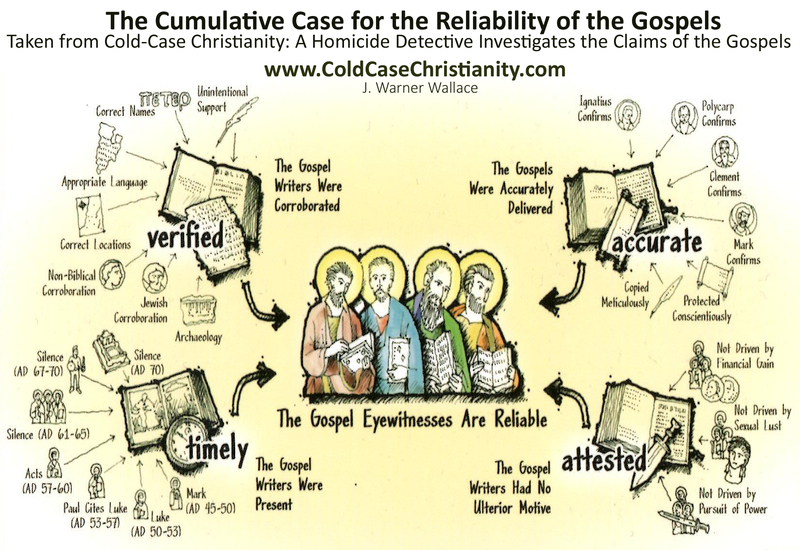 Actually, there is even more supportive evidence in the form of the early church fathers’ writings that liberally quoted from the earliest copies and perhaps the original documents. Unfortunately, we no longer have the original copies (autographs) of the New Testament books. Some critics say that we therefore cannot know what was written. While it is true we do not have the original writings, it is not true that we do not know the text is reliable. These documents simply wore out as they were actively passed from church to church. It is estimated that would have lasted perhaps 100-150 years. However, churches would typically make a copy of the documents that were sent to them. There are many slight variations amongst the 5795 Greek manuscripts mentioned earlier. Geisler and Nix report the number of variants to be around 200,000. It should be recognized that if, for example, there is a spelling error in 2500 copies, that counts as ‘2500’ variants. The overwhelming majority of the variants have no bearing on our ability to reconstruct the original content of the New Testament. Most importantly, no variant has any Christian doctrinal significance. Reconstructing the original text is not a real problem as we have the third generation copies and many later reproductions. 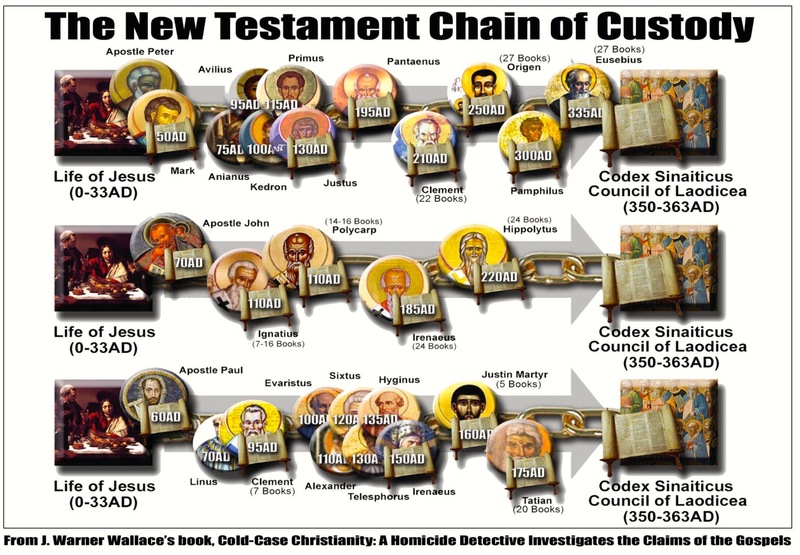 There also exists a solid chain of custody for these books (see graphic below) in the form of the early Church Fathers’ prolific writings. Again, because there are so many copies, errors can be identified and are tagged in many of today’s bibles. There is one more very key point to be made. According to Gary Habermas (the world’s foremost authority on the resurrection of Jesus), there has never been a time in the history of Christianity that the resurrection was not claimed to have happened. From the Bible itself, Dr. Habermas draws the timeline of the first Christian creed’s development (1 Corinthians 15: 3-7, please read this passage) to within two years of Christ’s resurrection! Obviously people who claim late development of Christ’s divinity need to know about this. Is the Message of the New Testament Lost?